Interesting option to spend some time swimming in Sydney. Is it not your first time here? Tell us how it went using the Facebook comments below or contacting us directly! 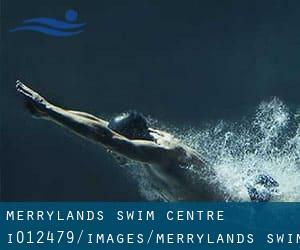 Merrylands Swim Centre is only one of all the swimming pools Swimia is providing you, and its data has been shared with us by a swimmer like you.Recall you'll be able to now promote Merrylands Swim Centre by sharing this page together with your buddies, adding comments and linking to us. This sports centre offers Olympic size, 8 lanes, Outdoors. For this Swimming Pool, only phone number is number here. Updated on 2019 The Parkway , Bradbury , Sydney Metropolitan Area , NSW , AUSTRALIA (Postal Code: 2560). This sports centre delivers 25 meters, 8 lanes, Indoors. For this Swimming Pool, only phone number is number here. Updated on 2019 Corner of Emerald Drive and Feldspar Road , Eagle Vale , Sydney Metropolitan Area , NSW , AUSTRALIA (Postal Code: 2558). This sports centre provides 25 meters, Indoors. For this Pool, only phone number is number here. Updated on 2019 89-113 Kent Street , The Rocks , Sydney Metropolitan Area , NSW , AUSTRALIA (Postal Code: 2000). Among all the activities offered by the centre, if you are considering swimming you will enjoy 20 meters, Indoors. Just in case you would like to contact this Pool prior to dropping by, we only know the phone number. Updated on 2019 Gymnasium Road , Marsfield , Sydney Metropolitan Area , NSW , AUSTRALIA (Postal Code: 2109). This great and large sports centre lets professional swimmers like you enjoy Olympic size x 20 meters, 8 lanes, 1.3 meters - 2 meters depth, 1.3 meters - 2 meters depth, Outdoors. Additionally, within these facilities you can try 25 meters x 12 meters, 6 lanes, 1 meters - 1.5 meters depth, 1 meters - 1.5 meters depth, Indoors. Phone number and e mail address are number for this Pool. Updated on 2019 Dence Park , 26 Stanley Road , Epping , Sydney Metropolitan Area , NSW , AUSTRALIA (Postal Code: 2121). This sports centre provides Olympic size, 6 lanes, Outdoors. For this Pool, only phone number is number here. Updated on 2019 28 Albion Street , Surry Hills , Sydney Metropolitan Area , NSW , AUSTRALIA (Postal Code: 2010). Swimmers like you reported 20 meters, Indoors. Unfortunately we do not have the email address of this Pool, but we can provide you with the phone number. Updated on 2019 Carwar Ave. , Blakehurst , Sydney Metropolitan Area , NSW , AUSTRALIA (Postal Code: 2221). Among all the activities offered by the centre, when you are interested in swimming you'll enjoy Olympic size, 7 lanes, Outdoors. Just in case you want to contact this Swimming Pool before dropping by, we only know the phone number. Updated on 2019 4 Alfred Street South , Milsons Point , Sydney Metropolitan Area , NSW , AUSTRALIA (Postal Code: 2061). Swimmers like you have reported Olympic size, 8 lanes, Salt Water, Outdoors. Also, you will find 25 meters, 6 lanes, Salt Water, Non-Chlorine Sanitized, Indoors. Just in case you want to contact this Swimming Pool prior to dropping by, we only know the phone number. Updated on 2019 Fields Road , Macquairie Fields , Sydney Metropolitan Area , NSW , AUSTRALIA (Postal Code: 2564). This sports centre offers 25 meters, 8 lanes, Indoors. For this Swimming Pool, only phone number is number here. Updated on 2019 Amour Park, Marco Ave. , Revesby , Sydney Metropolitan Area , NSW , AUSTRALIA (Postal Code: 2212). Swimmers like you have reported Olympic size, 7 lanes, Outdoors. Also, you will find 25 meters, 6 lanes, Indoors. Just in case you wish to make contact with this Pool before dropping by, we only know the phone number. Updated on 2019 Milson Road , Cremorne Point , Sydney Metropolitan Area , NSW , AUSTRALIA (Postal Code: 2060). This sports centre offers 22 meters+/-, 2 - 3 lanes, Outdoors. For this Pool, only phone number is number here. Updated on 2019 Church Street , Lidcombe , Sydney Metropolitan Area , NSW , AUSTRALIA (Postal Code: 2141). Swimmers like you reported 25 meters, 6 lanes, Indoors. Unfortunately we do not have the email address of this Swimming Pool, but we can give you the phone number. Updated on 2019 20 Wellington Rd. , Birrong , Sydney Metropolitan Area , NSW , AUSTRALIA (Postal Code: 2143). This great and large sports centre lets professional swimmers like you enjoy Olympic size, 8 lanes, Outdoors. Additionally, within these facilities you can try 25 meters, 8 lanes, Indoors. Unfortunately we do not have the email address of this Swimming Pool, but we can give you the phone number.